It is on the ground floor that the down, using a traditional wooden wheel. 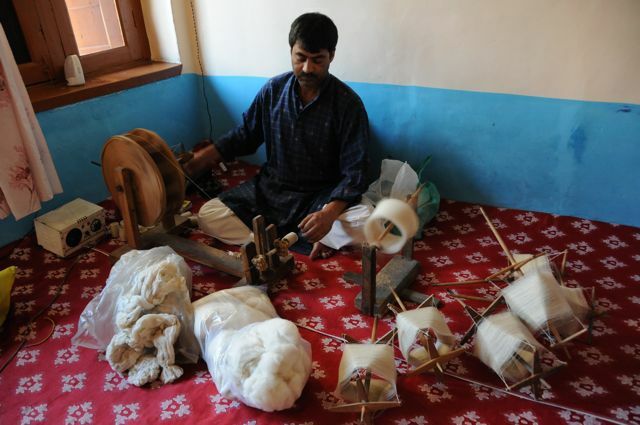 Originally from neighboring Ladakh, it is crude and looks like big white flakes; the yarn thus obtained is then mounted on skeins. 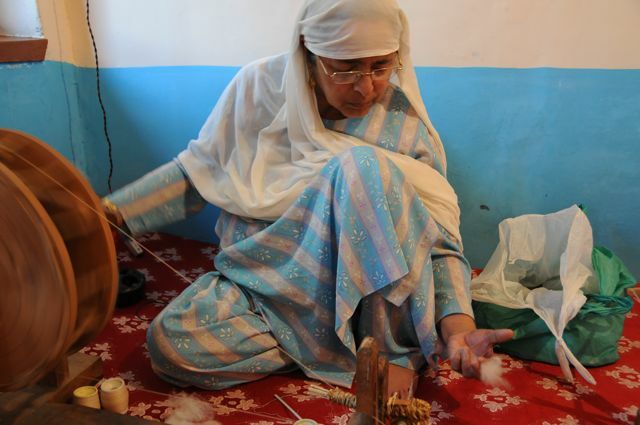 This work is traditionally done by women, here the weaver’s mother. 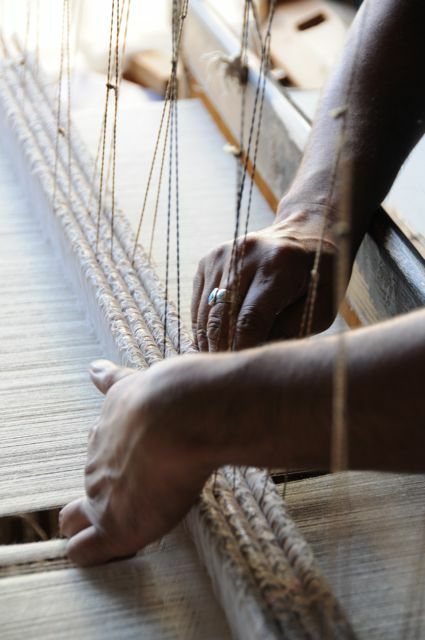 Then the wire is assembled on the loom, also wood, which occupies the entire surface of a small room upstairs. 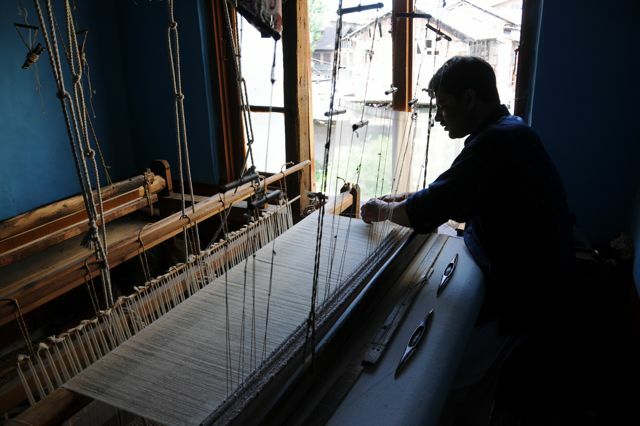 This is the domain of Feroz, 40 years old, the weaver. It takes 2 days to handcraft a 2m shawl. This one, of natural white color, will be then washed and dyed. 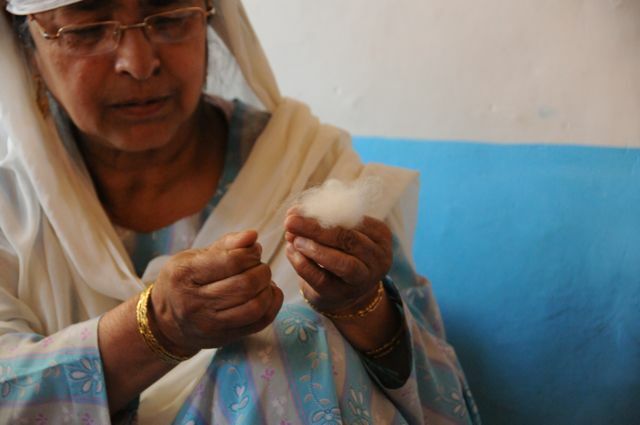 In my hand I look at this impalpable cloud, the diamond of the wool, the down that protects the little pashmina goat from the harshness of the Himalayan winters. It is there that everything begins, so I will take the road to the mountains of Ladakh. 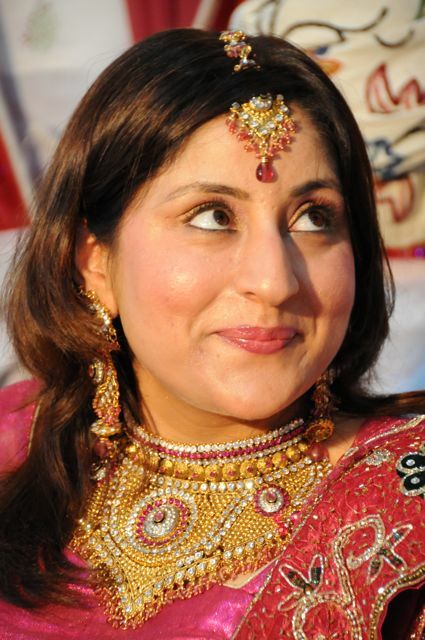 But in the meantime I have been invited to a wedding, and I intend to go there!